Induction into a chef’s cult, figuring out the mystery behind a ghostly bride, meeting a butcher turned game designer, hearing talks from industry veterans and witnessing how diverse the gaming community is, was an unforgettable first time at IndieCade 2016. A festival is a celebration, and IndieCade can’t celebrate independent games without also celebrating their creators. 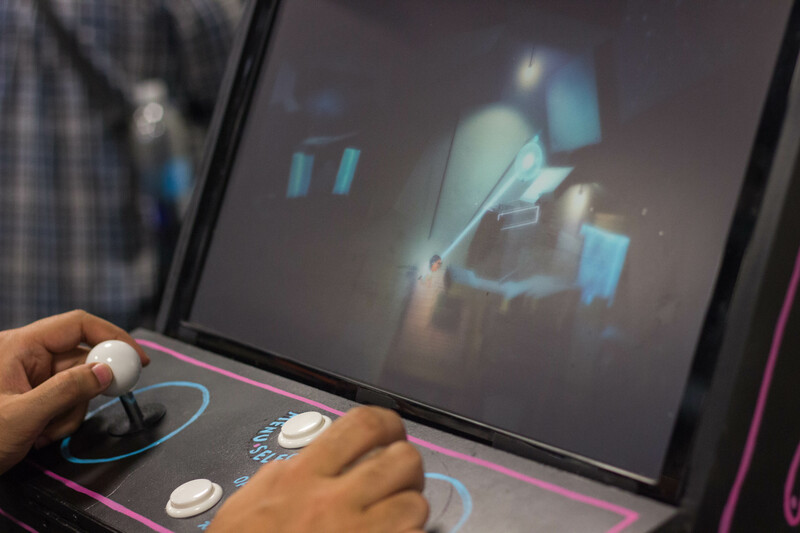 The indie games festival not only exhibits games but also sets up playtests, workshops, talks, and other events to help facilitate growth for game developers. 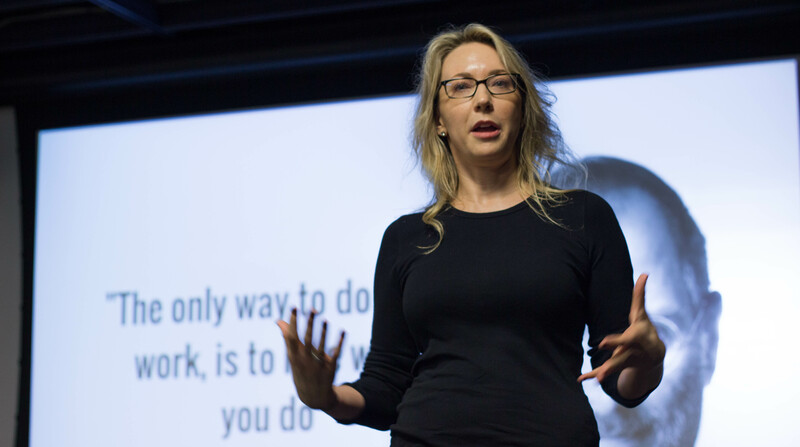 Kriste Stull is a veteran of the game industry and worked for companies like Blizzard, EA and Sony as a hiring manager. In other words, Stull has insider knowledge of what hiring managers like to see and what types of people generally get the job. In the end, it was always the person who worked well with others, a person who listened and kept open lines of communication. It wasn’t always the talented artist that got the job, but usually the candidate that people wouldn’t mind spending 10+ hours working with. Along with other incredibly helpful knowledge, Stull imparted hope for the future to many ambitious game devs. There were also other talks being held by industry veterans like Frank Dille, current creative lead of Niantic. Also present were industry writers, animators, professors and more. 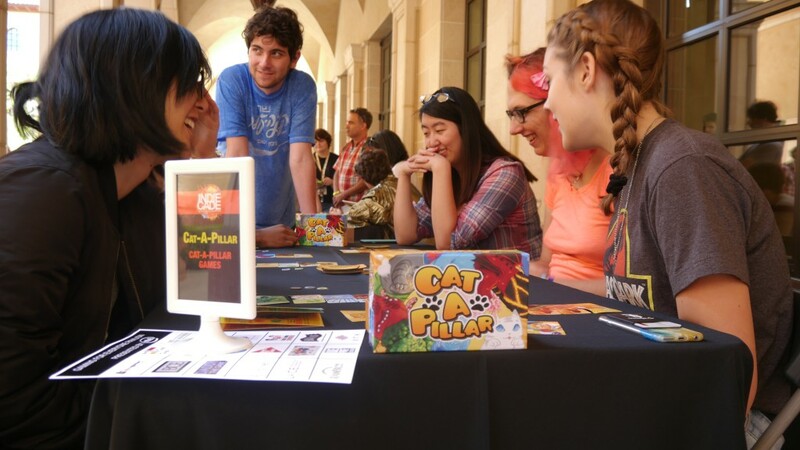 IndieCade proved to be extremely educational for people who are serious about entering the game industry. Of course IndieCade isn’t just for indie developers — it’s also for people that enjoy playing games. I had a tremendous amount of fun playing all sorts of games ranging from board games to VR to more regular form games. 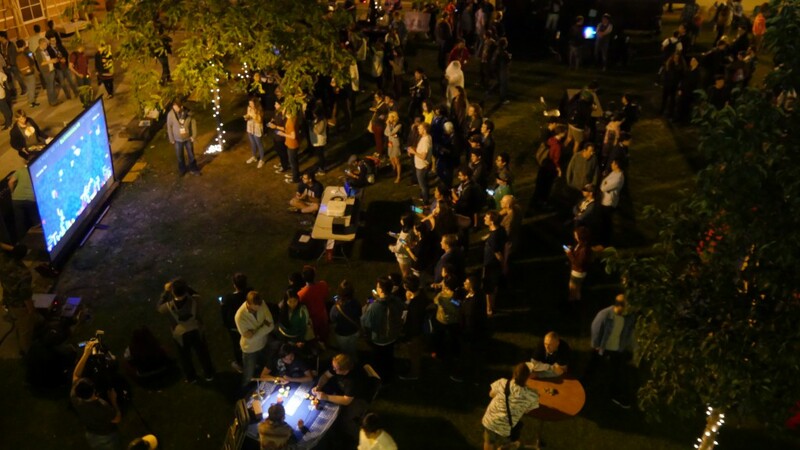 However, the most memorable experience at IndieCade was when I participated in the festival’s unique Night Games event. When I arrived at IndieCade’s night games event, filled with an assortment of games that take advantage of the cooler nights and darker lights, I noticed an eerie sight. 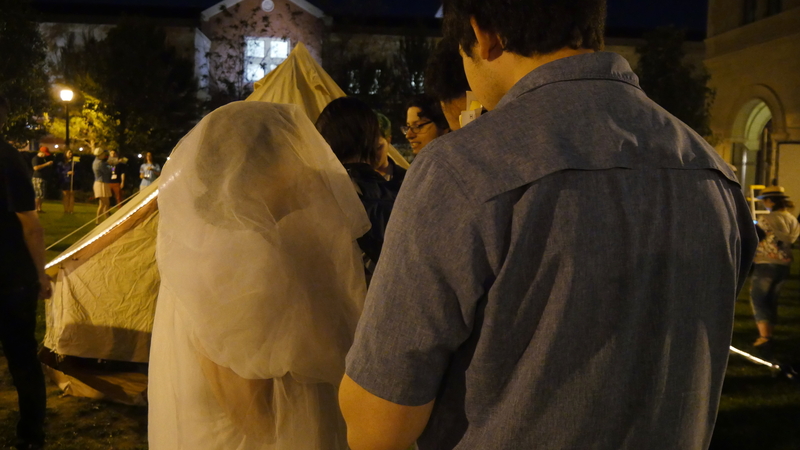 Around the grounds of the School of Cinematic Arts walked a bride in a white dress and a thick veil. The veil obscured her face, making it difficult to see who was underneath, even if you walked up to her. While I played other games, I made sure to keep an eye on her. It was strange to me that no one reacted to the sight. She would walk past groups of people and none of them would even acknowledge the sight. Involuntarily I shivered more than once, perhaps it was from the icy breeze from the late night or something more sinister. As the night went on and I played more games, I felt more and more disturbed by the sight that didn’t belong. I’m not one for horrific experiences, so the sight of a bride with her hands over her chest as if she were on display in an open casket was more than unsettling. Eventually, I stood in line to experience another game. It was situated within a large tent. I scurried inside as I heard a raspy woman’s voice beckoning me to hurry in. Immediately, I knew I had entered a different world. The woman, or rather sage as she would reveal herself to be, was trapped on Earth and needed to go back home. She has become weak from being far from home and thus needs my assistance in obtaining items to help her complete a ritual of sorts to go back home. She told me the descriptions of people to speak with. One of them matched the description of the eerie bride wandering the grounds. I had made sure to talk to everyone else before the bride. I solved riddles, passed a puzzle and joked with some. When it came to the bride, however, I had to make a choice of choosing one item over the other. A black rock or a candle. I needed to wait behind a queue of other players before I could make a decision. I chose the black rock. “Sometimes fate chooses for you,” said the bride. The bride flipped the sack that held the black rocks upside down, indicated it was empty. She quickly offered me the sack that held candles in response. Such an experience isn’t profound in any way, but it felt evocative of a real adventure. It felt like something I would hear in the games I used to play as a child. An eerie figure in a mundane world is a recipe for excitement and mystery. I was presented with a question and I was able to seek out answers on an adventure with mystery. After I completed the rest of the game, of which I will its ending a secret in case the game is exhibited again, I thought about what I had just done. I shivered not because of the chilly breeze or a sinister monster from another world, but from the excitement. IndieCade showed to me how amazing games are. I grew up being told that games were never a positive hobby. Yet, there I was. Standing in the middle of a college devoted to the creation of film on my own adventure. Amidst other gamers and other people whose very lives were devoted to creating games. I was the main character. And I loved it. This was just one example of many in which I just experienced pure ecstasy in playing a game. IndieCade was filled with other unique experiences that are far too numerous to mention. 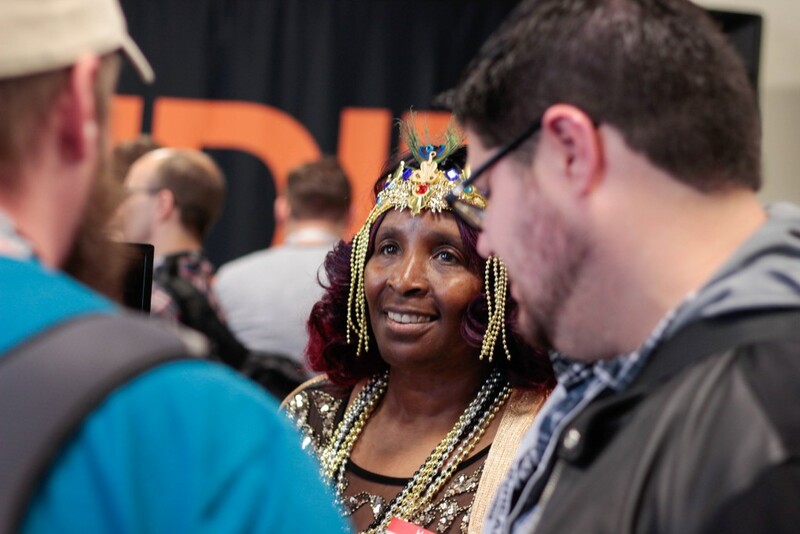 The gaming community isn’t perfect, but IndieCade showed me the best of what it can offer. The festival was a place to play with strangers, to meet new gamers and bond with old friends over new games. It was a place to learn and take another step forward to reach ambitions of being in the game industry. It was an inclusive space that offered an outlet to all and a voice for the player to give feedback to the designers. IndieCade was a place to have fun and be in continuous awe like in childhood. The unique mechanics and stories that were presented at IndieCade had me nostalgic for when I first discovered the joys of games. And IndieCade made me relive that awe inspiring feeling all over again. 2016 was the first time I attended IndieCade, and it won’t be the last.